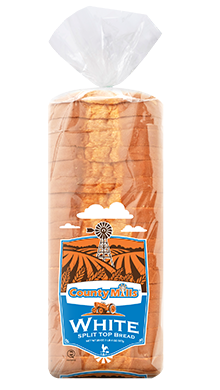 County Mills White Split Top bread is soft and full of flavor. Top of loaf is split giving the product a nice look. Packaged in a retail friendly County Mills branded bag. 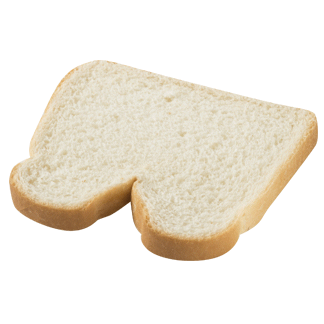 This bread can be used in your operation or sold to your customers. 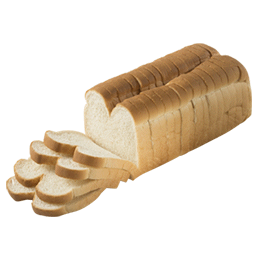 ENRICHED FLOUR [UNBLEACHED WHEAT FLOUR, MALTED BARLEY FLOUR, REDUCED IRON, THIAMINE MONONITRATE (VITAMIN B1), RIBOFLAVIN (VITAMIN B2), NIACIN (VITAMIN B3), FOLIC ACID], WATER, YEAST, HIGH FRUCTOSE CORN SYRUP, WHEAT GLUTEN, SOYBEAN OIL, SALT, MONOGLYCERIDES, CALCIUM PROPIONATE (A PRESERVATIVE), WHEAT STARCH, CALCIUM SULFATE, CITRIC ACID, ASCORBIC ACID, SOY LECITHIN.